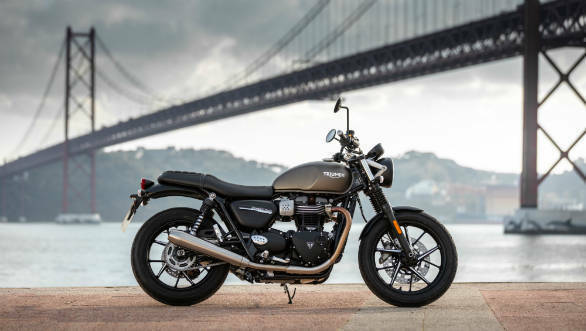 Triumph India will launch the 2019 Street Twin and the 2019 Street Scrambler on valentine's day. Both the bikes have undergone mechanical changes and have received some cosmetics updates as well. The company dealerships across the country have already started accepting bookings for the same for a token amount of Rs 1 lakh. The deliveries of the new motorcycles will commence from March 2019. The cosmetic changes on the 2019 Triumph Street Twin are subtle and only the one with a keen eye would notice the restyled wheels, side panels and the new logo. As part of the update, the Street Twin now gets a new Matte Black colour scheme and the Street Scrambler now receives the new set of graphics. The Street Twin and the Street Scrambler are powered by the same liquid-cooled 900cc parallel-twin motor paired to a five-speed manual gearbox. The updated engine has new parts such as the magnesium cam covers and a lighter crank along with dead and balance shafts and also gets a bump in power by 10PS. However, the torque numbers are unchanged at 80Nm. Along with the switchable traction control and ABS, both the bikes will be offered with two new riding modes - Road and Rain. We have already ridden the 2019 Triumph Street Twin and here is our first ride review. 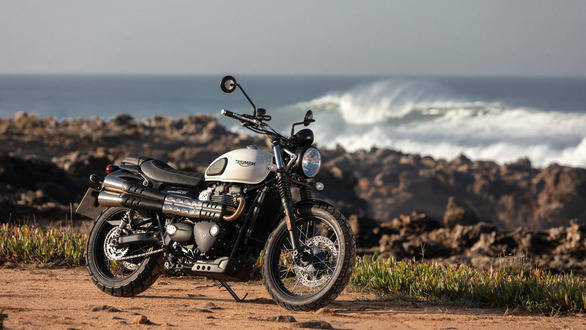 You can also go through our 2019 Triumph Street Scrambler review. Both the bikes are now equipped with 41mm cartridge forks with 120mm of travel. The updated braking system on both the bikes includes a four-piston Brembo caliper with a 310mm disc up front while the rear still continues to be offered with a 255mm disc with Nissin caliper. The current Triumph Street Twin and the Street Scrambler retail at 7.70 lakh and 8.60 lakh ex-showroom New Delhi, respectively. However, the updated price for 2019 will make the motorcycles dearer by Rs 15,000 to Rs 20,000.